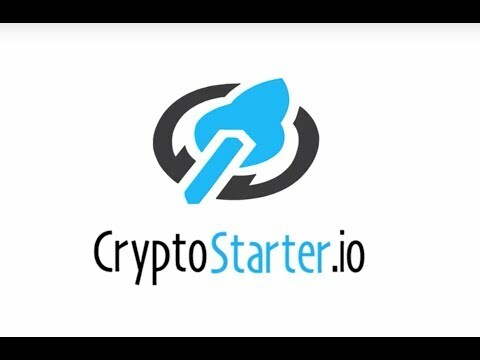 CryptoStarter is a Blockchain crowdfuning platform that accepts cryptocurrencies and turns promises into tradable tokens. Setup a crowdfunding campaign and generate your project tokens quick & easy with CryptoStarter. Since 2015, more than 25 billion dollars was raised via Crowdfunding platforms and by 2025 the World Bank Report estimates the global crowdfunding investments will reach $93 billion. This figure approximately equals a current market capitalization of all crypto currencies, representing nearly 800 unique market traded crypto currencies that we have today in total. Hundredsofthousandsof creativeprojects,artworksandtechnicaldevelopmentsemerged withhelpof crowdfundingplatforms. The challenge that CryptoStarter attempts to solve is to connect crowdfunding and crypto currency, at the same time making it simple to use and accessible to non-technical artists and entrepreneurs. Despite rapid development of crypto currency markets not all potential participants were able to use crypto currency advantages due to a number of reasons. Starting from the country where crypto currency lacks local support and up to simply the lack of knowledge and motivation to learn how to use crypto currency.